If I had to choose two words to sum up Apple's Worldwide Developers Conference (WWDC) keynote today, those words would be evolution and integration. Apple has clearly moved to evolve its four platforms -- watchOS, tvOS, macOS and iOS 10 -- in ways that will help users in a variety of ways big and small. The company also notably built on its existing Continuity approach to bolster integration across Apple devices. 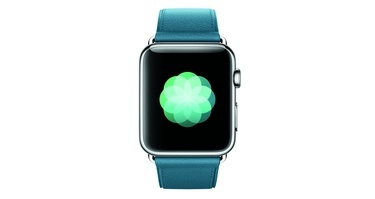 But nowhere were Apple's moves more comprehensive than on the Apple Watch. Following a poignant moment of silence for the victims of the shooting in Orlando, Fla., Apple CEO Tim Cook opened the keynote with a preview of watchOS 3, due to be released this fall. Apple has clearly listened to feedback from those that bought an Apple Watch during its first year. Despite its reputation of sometimes not taking user concerns and complaints seriously, it's clear that Apple did listen to feedback regarding its first wearable. What's remarkable is that the company didn't just listen and make minor tweaks. watchOS 3 shows the company was willing to completely rethink parts of the wearable's operating system and its user interface. In short, Apple went back to the drawing board to try and make watch apps more accessible and to reimagine the functionality of the side button (previously used just to invoke Apple Pay or Digital Touch messaging). It will soon provide access to a new dock feature that provides instant access to favorite or recently used apps. Likewise, the new Control Center (accessed by swiping up from the bottom of the watch screen) puts commonly used commands and features front and center. Combined, they replace the Glances view from the original watchOS. What Apple didn't do was throw the baby out with the bath water. Many key Apple Watch features remain, including easy access to notifications by swiping down from the top of the watch screen. Activity tracking remains largely intact, albeit with the addition of sharing activity data with other Apple Watch users (a feature most dedicated fitness wearables have offered for some time) and with support for wheelchair users. These changes show the balancing act Apple is undertaking: making the device more user friendly while not evolving it beyond recognition for longtime Apple Watch owners. 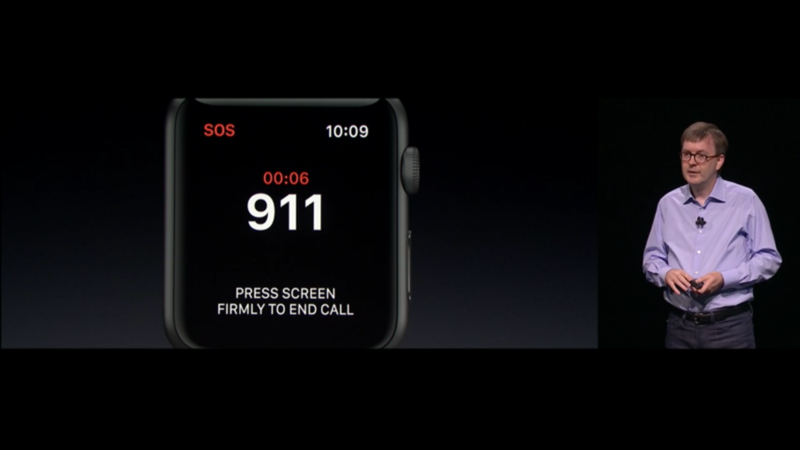 watchOS 3 has a highly useful SOS feature that can automatically dial emergency services. Another notable addition in watchOS 3 is a highly useful SOS feature that can automatically dial emergency services (using the appropriate number in the country where the user is located), alert emergency contacts (including a map of the user's location), and provide emergency medical data for responders -- all in an automated sequence. That's an incredibly useful addition, particularly for those with serious or chronic health issues. That feature alone is a reason to buy an Apple Watch (or buy for loved ones with health issues -- yes Dad, I'm looking at you). It's also a natural extension of Apple's push into healthcare, which began with HealthKit, the Health app for the iPhone, and has continued with both ResearchKit and CareKit. Also on the wellness front, Apple is adding a deep breathing app -- it's called Breathe -- that can be triggered manually or scheduled, much like the Stand reminders (known as roll reminders for wheelchair users). The Breathe app in Apple Watch's watchOS3 will encourage deep breathing and meditation. Apple didn't stop there. Next to health and fitness, one of the most common uses of the Apple Watch is for messaging and notifications. Apple definitely went back to the drawing board in this area, though here the changes -- such as being able to respond to a message with fewer steps (the various replay buttons now appear below a message) and the option use handwriting recognition -- are more iterative tweaks to the existing UI. The Apple Watch also benefits from the new messaging capabilities in iOS 10 like stickers, handwriting, full screen effects and invisible ink. One of the most intriguing new features, however, is Apple's efforts to further integrate its platforms. Apple Watch will be able to automatically unlock a Mac using macOS Sierra simply by being worn in proximity to a Mac. It can also be used to authenticate Apple Pay transactions in Safari on a Mac (as can Touch ID on an iPhone). Ultimately, the watchOS 3 demos during the keynote remind me very much of the demos for iOS 2 (or iPhone OS 2, as it was known at the time). The original iPhone experience felt very limited, particularly in its lack of support for third-party apps and other features we take for now granted. watch OS 3 feels like it will deliver significant advances over its predecessors and yet still feel familiar. The only question that remains is how well it will run on existing Apple Watches, since Apple will almost certainly release updated watch hardware in the not-too-distant future. Given the prices for Apple Watches, it's unlikely most users will want to replace their watch every year or two. That requires another balancing act for Apple. tvOS also got needed updates, but these feel much more iterative than the changes coming to watchOS. Easily the biggest advance is single sign-on support, allowing a user to register the device once with their cable or satellite provider to have all pay-TV apps registered. This is a significant advance for the platform and addresses one of the most common complaints. Other notable advances include expended Siri functionality; support for managing smart home devices using HomeKit; a dark background mode (useful for watching an Apple TV in low-light situations); updated Apple Music and Photos apps that mirror the functionality found in iOS 10; support for an enhanced iOS Remote app; badges that let users known when new app content is available; and additional developer tools for handling photos and replays. All of these advances may not seem truly groundbreaking. What is worth noting, however, is that Apple is making the effort to further integrate Apple TV into its larger ecosystem with things like the new Remote app, expanded support for iCloud content, and further integration with HomeKit. It is clear that Apple wants its users to experience a seamless transition of data and content across all Apple platforms. 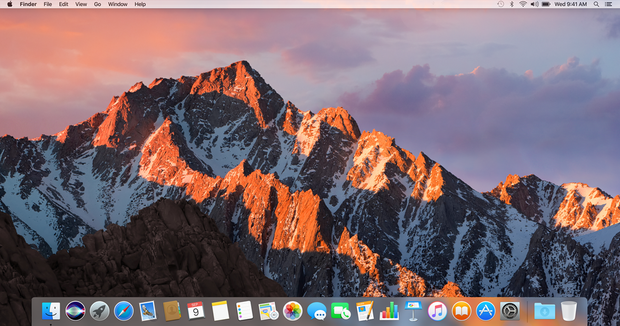 As expected, Apple rebranded OS X as macOS to fit in with its other platform nomenclature. Sierra is where Apple's integration efforts are most obvious. Building on already-existing Continuity features, Sierra tightens the integration in key ways. The first is the Auto Unlock feature that allows a user to bypass the Mac's log in screen if they are wearing and have authenticated their Apple Watch. This is incredibly useful. What will be interesting to see, however, is how -- or if -- it is supported in enterprise or education environments. I'm hoping it won't end up a purely consumer solution. Also in the integration bucket is universal clipboard, which allows users to copy and paste data between devices). iCloud Drive will be able to automatically move older data to the cloud to free up disk space and can make the contents of a user's Documents and Desktop folders available across all Macs and other devices. And as noted earlier, Apple Pay will be supported for online transactions in Safari relying on an Apple Watch or iPhone to authenticate the transaction. The most notable addition is Siri's long-anticipated arrival on the desktop. While Siri on the Mac was widely expected, Apple didn't just plop the virtual assistant onto the Mac. Much as with Siri on the Apple Watch and Apple TV, Apple was thoughtful about how to integrate Siri into the existing Mac user experience. By providing integration with existing technologies like Notification Center, the file system and the Dock, Apple has made Siri extremely useful. Particularly helpful: Siri commands can contain multiple individual statements, extending the assistant’s functionality and making it seem more conversational -- and commands can be saved for reuse. Success depends on how Apple manages this integration, but my first impression is that the company waited to debut Siri on the Mac until it thought the technology was ready for real desktop use rather than mimicking the quick interactions on mobile devices. Apple bills iOS 10 as "the biggest iOS release ever." Although the company didn't highlight all of the new iOS 10 features on Monday, those it did showcase indicate that it's willing to revisit components of the OS from the lock screen (which can now wake the iPhone when you raise it up) to the expanded Control Center to the Photos app to messaging. iOS 10 is a reminder that Apple isn't sitting on laurels. Many of the areas Apple focused on redesigning in iOS 10 are areas most users would see as already being solid and functional. The biggest changes aren't in the user interface, however. The most monumental changes are in how Apple is opening up parts of iOS that Apple has kept closed and controlled. The most obvious example is Siri, which Apple has kept off-limits since the assistant debuted five years ago. In addition, Apple is opening up Maps, VOIP calling and messaging. Expanding on previous efforts to introduce iOS extensions that allow apps to exchange content, Apple is allowing developers to create apps that hook into some of the stock iOS apps. The result will be a much richer and robust set of capabilities. It will also provide a more seamless experience across a device. In addition to opening Siri to developers, Apple is also bringing some of its language processing technology to a revamped QuickType keyboard. This should make QuickType, which provides auto-complete suggestions while typing, more effective and useful. Home can manage a variety of HomeKit-compatible devices. Apple is also stepping up its game with HomeKit, providing a single app that can be used to manage HomeKit-compatible devices. This is a welcome addition, particularly given that HomeKit got off to a slow start after its introduction two years ago. 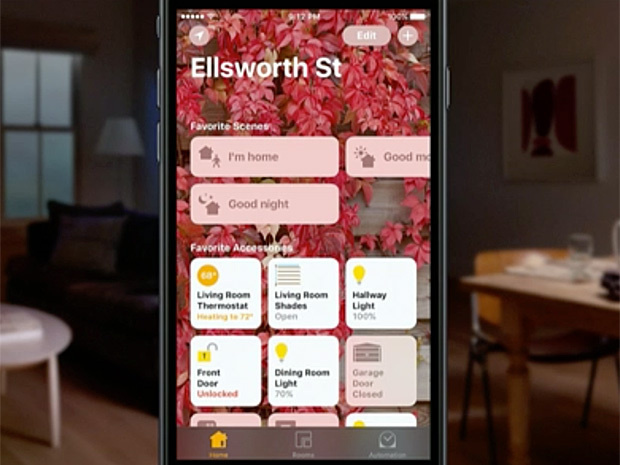 The user iterface for HomeKit shown during the keynote appears to be well designed, easy to manage and able to work across Apple devices. Also getting big changes is the Photos app (the capabilities of which extend across devices). With deep-learning technology, Apple brings features like facial recognition to Photos. (This isn't a first; Apple introduced face recognition and tagging several years ago in iPhoto for Mac, the precursor to today’s Photos on the Mac.) In addition to faces, Photos can detect objects, locations and other data in an image. That information can then be used to organize photos automatically and to group related images in a new feature called Memories. Photos can also automatically compile movies out of photos and videos. All of these features, like many of those highlighted by Apple execs, show a real depth of thought in terms of how people use their devices. Speaking of highly personal content, Apple repeatedly touted its efforts to protect privacy. With apps like Photos, the company was clear to note that all processing of images, including faces and locations, is done of the device itself, not in the cloud. Apple also pointedly noted that communication services like iMessage or FaceTime use end-to-end encryption. Similar pledges were made about Continuity and HomeKit. All of this underscores Apple's commitment to privacy as a serious competitive advantage and shows it has no intention of backing down from that commitment. As I said at the start, evolution and integration are the two words I'd use to best sum up Monday's announcements. Despite repeated claims that Apple can't significantly further innovate across its platforms -- particularly the iPhone -- this year's WWDC keynote demonstrates that the company can innovate and evolve its platforms and the products that run them. It also show that Apple intends to continue building an ever closer ecosystem of devices, platforms and apps with the aim of providing the best, most seamless computing experience it can.